Shanghai Shine Don International Trade Co., Ltd.
pp/opp/pe plastic shirt packing bag, pearl pin, silvery pin, and a series of shirt accessories. we have modern advanced automatic production equipment, like pressing punch, injection mould machine, indentation machine and so on. Collar stays removable Glue Dots is made of hot melt pressure sensitive adhesive. 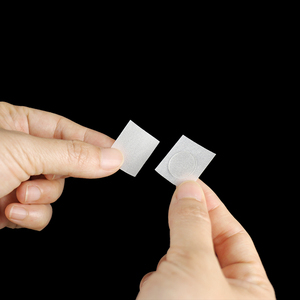 Very strong adhesive strength, can stick to various fabric materials. 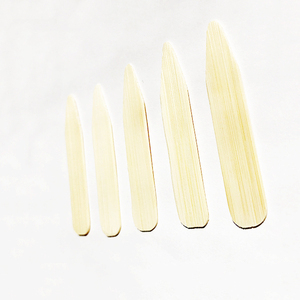 Easy to use Package Collar stays is 4 dots/strips. Ningbo Auki Imp & Exp Co., Ltd.
they are highly accepted by our high quality and competitive price and considerate service. 1. How long can I get the price9 Prices will be quoted within 24 hours after we get your inquiry with detailed information. 2.How can I get a sample to check your quality9 On the case of quotation confirmation. Guangzhou Apex Accessories Co., Ltd.
Pet/PVC Collar Stay for men shirt Our Raw Material: Our Shipment: Collar stay and Collar Bone is made of PET or PVC in transperant and white color ,it is widely used in men shirt to keep shape ,and for packing. We have our stronge team for this Items and we have big market and great customers in different country. We are sure we are the only best supplier in China. Ningbo Wanhe Industry Co., Ltd.
with or without letters/pictures priting on the surface design customized. material pe pet pvc nylon etc. Dongguan City Feiyang Sport Equipment Co., Ltd.
Pet Collar Stay for men shirt Our Raw Material: Our Shipment: Collar stay and Collar Bone is made of PET or PVC in transperant and white color ,it is widely used in men shirt to keep shape ,and for packing. We have our stronge team for this Items and we have big market and great customers in different country. We are sure we are the only best supplier in China. Also we can pack it accord Product Keywords white shirt collar stays Related Products Yongjia Oastar Button Ornament Company (Orginal:Yongjia Bluesky Dress Button Co., Ltd. is a modern enterprise engaged in the design, development, production, and marketing of garment accessories. Through years of hard work and constant development, our products are selling well both at home and abroad, enjoying a good reputation amongst our clients. As per the client's request. Client's logo acceptable. Client's logo acceptable. through years of hard work and constant development, our products are selling well both at home and abroad, enjoying a good reputation amongst our clients. also we can pack it according to your request. so far set up agent in colombia, meanwhile established production factory in srilanka, vietnam. to have the samples collected; or inform us your dhl collection account. featuring a new,soft feel,these stays expand and bend collars to produce a variety of looks.more over they can also hold the form of collar. 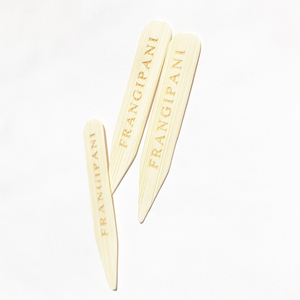 our completely original collar stays are thin,flexible pieces of metal coated in silicone rubber,so shape can be changed at will an unlimited number of times. Shanghai Conqueror Textile Co., Ltd.
we've been working with many world famous partners, french connection, mgm, uae airlines etc. our products cover suit, shirt and uniform. 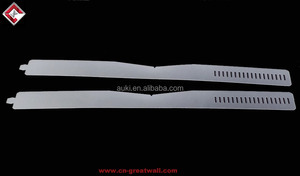 Alibaba.com offers 198 mens shirt collar stays products. About 28% of these are other garment accessories, 9% are men's shirts, and 1% are cuff links & tie clips. A wide variety of mens shirt collar stays options are available to you, such as 100% cotton, polyester / cotton, and pvc. You can also choose from anti-pilling, adhesive, and plus size. As well as from shirts, interlinings & linings. And whether mens shirt collar stays is woven, yarn dyed, or washed. 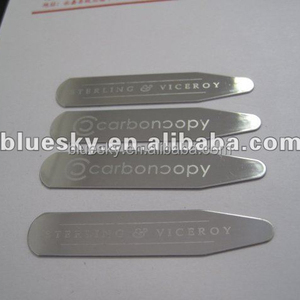 There are 117 mens shirt collar stays suppliers, mainly located in Asia. The top supplying countries are China (Mainland), Japan, and India, which supply 89%, 4%, and 1% of mens shirt collar stays respectively. Mens shirt collar stays products are most popular in North America, Western Europe, and Northern Europe. You can ensure product safety by selecting from certified suppliers, including 11 with ISO9001, 7 with Other, and 4 with BSCI certification.